There are different ways to celebrate the arrival of Spring. But if you are in New York, there is only one way to do it, in style- you go see some great new French films at the Film Society of Lincoln Center. It's a proud tradition around this neck of the woods. The 23rd edition of Rendez-Vous with French Cinema is here with array of films by established filmmakers and first timers alike, including Bruno Dumont (Jeannette: The Childhood of Joan of Arc), Mathieu Amalric (Barbara), Raymond Depardon (12 Days), Toni Marshall (Number One), Léonor Serraille (Montparnasse Bienvenüe), Léa Mysius (Ava), just to name a few. 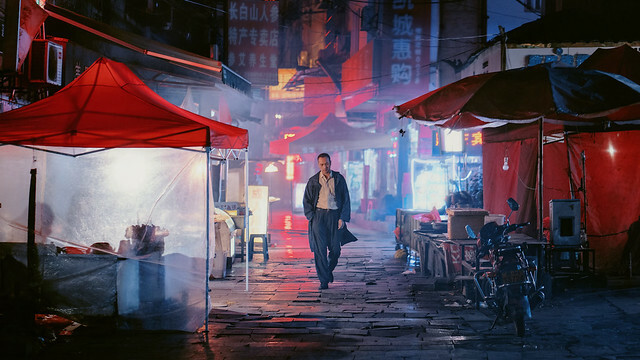 French cinema today is unafraid to delve into the issues at the forefront of our collective consciousness, which is reflected throughout this year’s selection. In particular, we’re extremely proud to showcase a wide variety of women’s stories—films about women’s resilience during times of war, millennial women trying to find their place in the world, the glass ceiling, and even the childhood of a young girl destined to become a legend. As ever, we are thrilled to introduce American audiences to bold newFrench voices, this year including Léa Mysius, Léonor Serraille, Maryam Goormaghtigh, and Marine Francen. The series runs 3/8 -3/18. For tickets and more info, please visit FSLC website. 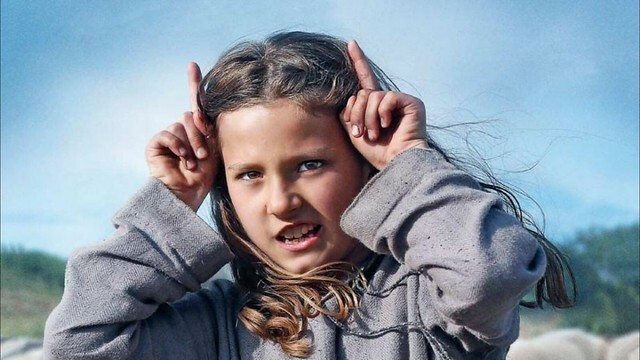 It does makes sense that Bruno Dumont's latest is about Joan of Arc. She personifies the Christian devotion and spirituality, so it comfortably fits in his filmography. It also makes sense that Jeanette is a musical comedy: as he brazenly made it clear since his first foray into comedy with L'il Quinquin and last year's Slack Bay that comedy is just a flip side of a coin- that his austere films (dotted with bizarre surrealist moments) can easily be rip-roaringly funny when they go two millimeter off the path. Young Jeanne (Lise Leplat Prudhomme, and later played by Jeanne Voisin) is a precocious girl living in Domrémy, north-east France (Dumont's beloved home region). She and her friend have been praying to god to save France from English invaders to no avail. She encounters a twin dancing nuns or, has a religious epiphany of Ste. Marguerite & Catherine, telling her to lead the French army. They conclude their meeting with a choreographed headbanging with Heavy Metal music. I get what Dumont is trying to do and Jeannette should work in theory. His Bressonian approach, using non-professionals to convey the serious subject such as faith and purity of Joan of Arc is a noble attempt and should be praised. But when you think of Joan of Arc, it's usually the haunting close ups of Renée Jeanne Falconetti's face in Dreyer's poetic masterpiece Passion of Joan of Arc that come up to mind. In comparison, Jeanette can come across as a bad high school musical, complete with b-boy moves and falling off a horse for laughs. Dumont's full framed beautiful composition highlighting the big sky country is there, so as the picturesque, windswept, soft lit sand hills of Brittany. But can it offset the silliness? You will be the judge. The title sequence accentuates the importance of Barbara's dictation of each word as she speaks, title appearing in intervals as she pronounces words rhythmically. It's all about mannerisms and gestures and the heavy make-up and her singing style, which Balibar tackles confidently. Added is movie within a movie meta-ness. But it doesn't take away the spotlight from its star. Born Monique Andrée Serf in a Russian Jewish immigrant household, the singer took her grandmother's name as her stage name and became Barbara. Her melancholic love songs which were all written by her, touched a generation of listeners and helped her to become a national treasure. She also had a very pronounced nose which Brigitte lacks. There is a scene where Brigitte gets her face cast for the nose. In some scenes she wears it and in others she doesn't. 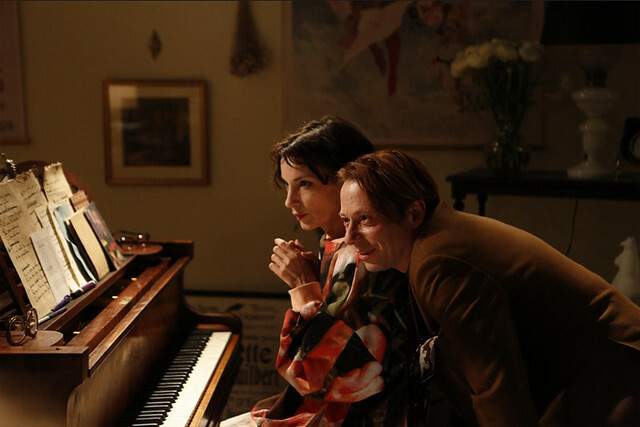 Amalric is interested in recreating those details up to a point but leaves it to the flow of the film. He uses archival footage of the real singer in the beginning and back to Brigitte faithfully studying and practicing her every gesture and singing style. But as the film progresses, he cuts rapidly back and forth between Barbara and Brigitte, with added grainy footage of Balibar reenacting Barbara on stage, blurring the line among all three. Amalric is an astute student of cinema. He is keenly aware of the medium and knows how to benefit from its possibilities but not in a showy way. His aimlessness is also his best asset. The film is rhythmic, fluid and free. One of the year's best. Emmanuel Finkel tackles on semi-autobiographical book by writer & film director Marguerite Duras. And it's an ambitious one. The film starts with Marguerite (Mélanie Thierry) in German occupied Paris at the tip end of WWII. She had found her own journal which is essentially the book the film is based on, but she doesn't recall if it was she who wrote it. She is waiting for her husband Robert's return. He has been in custody for his resistance activities. Robert's prolonged absence has been a disorienting, unraveling experience for her. We roll back to 1944, just before the scale tipped for the Allied forces. Marguerite was approached by Rabier (Benoit Magmiel, becoming more and more like young Gerard Depardieu), a collaborator, working for the Vichy regime, offering help to find where Robert is. He is a working class bloke who dreams of opening up a bookstore and thus fancies Margueritte because she's a writer. Her circle of friends in the resistance first think it's too dangerous for her, then admit that it might be a good opportunity for her to play Rabier to get important information. Not unlike Duras scripted Hiroshima mon amour, A Memoir of War concerns the effect of war has on people- the guilt that survivors have to carry around weighs so heavily on them that they lose their sense of self. Marguerite often sees her surroundings in a third person perspective. She also sees herself from a distance as if she is experiencing an out of body experience. Duras doesn't put blames on a collaborator alone. Holocaust happened. As a human being, we all have to wrestle with the fact that it happened. Using shallow depth of field, Finkel makes sure there that there is a distance between people at all times. There is a striking scene of empty Paris just before its liberation where Marguerite rides her bicycle. But she will never be free from that guilt. And it won't stop even if she has Robert back finally. Thierry is a revelation as Marguerite, a learned, intellectual woman who slowly gets broken emotionally. A Memoir of War is a great film. The French law requires 12 days of involuntary hospitalization in a psychic ward for anyone deemed danger to him/herself and others. Nearly 92,000 people are placed under psychiatric care each year. After those initial 12 days, a judge makes fateful decisions based on doctor's observations on these cases in the courtroom. The famed filmmaker/photographer Raymond Depardon gets an access to these court hearings for the first time and gives voices to the voiceless for better or worse. The result is a fascinating documentation of the unseen, underexposed mental problems the modern society faces. The courtroom cases with 3 camera setups, we witness these hearing sessions to determine if the involuntarily hospitalized persons will continue to be involuntarily hospitalized or not. Many of them are obviously disturbed and suffering from mental disorder- a girl who was repeatedly raped thinks only way to get the bad sexual energy out of her body is to slit her wrist, a man who killed his father 10 years ago longs to go home to his father, etc. Some are comparatively mild encounters with the law- an office worker who brandished a knife in front of her boss and co-workers, a man in a violent outdoor brawl. All of them don't want to be locked up. All they do is medicate. Judges listen, they can be compassionate, but the results are always the same - ruling for involuntary hospitalization beyond 12 initial days. The film is a startling and chilling document of real life unfolding because we see these kind of cases all the time on our streets, in our subway stations and homeless shelters. 12 Days remind you of our complicated, psychologically fragile society where we are not equipped with dealing with the massive flow of mental illness. Jean-Pierre Léaud plays an aging actor Jean, starring in a movie in southern France. He is having a hard time how to play death. The director (Louis-Do de Lencquesaing) insists it being played like him quietly falling asleep. Jean prefers it as an 'encounter', something more impactful, at least on camera. The project is getting delayed because of his young co-star refuses to come out of her trailer because her heart is broken after an affair with a dancer. "It will pass soon", Jean says. So he has an unintended mini vacation and free to roam around a picturesque, sun drenched town. He encounters the ghost of his long lost love Juliette (Pauline Etienne) in an abandoned mansion where he once lived. He abandoned her 40 some years ago and she committed suicide by throwing herself in the lake. As he starts to living in that abandoned house, the local kids armed with amateur movie making equipment, barges in and starts following him around. Along with last year's Death of Louis XIV, Léaud plays a role that deals with aging and mortality. As the face of French New Wave, he is an embodiment of living legend. But he's not really considered as a great actor. At 73, with his leathery, sagging face, he is rather the testament of ravaging flow of time. Nobuhiro Suwa, a Japanese director who's been making films in France, like Albert Serra and Tsai Ming-Liang before him, uses this walking icon for a subtle contemplation on lost love, the joy of cinema and passage of time. 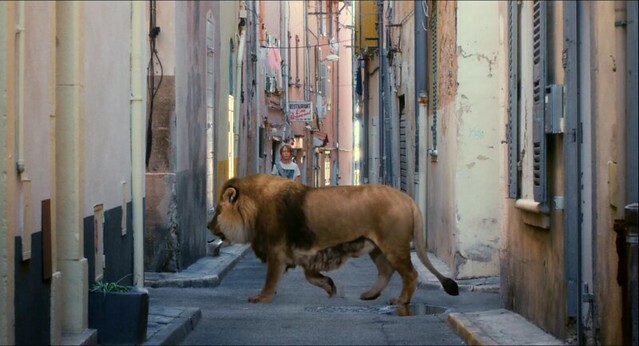 Falling somewhere between The Great Beauty and Cinema Paradiso but very very muted in tone, The Lion Sleeps Tonight might be a little too sentimental for some. Xavier Legrand's debut feature Custody is about a domestic violence case that plays out like a thriller. Going for detached, observational documentary style of Dardennes brothers, his mastery in getting an amazingly natural performance out of his talented cast must be commended. Custody starts out with the custody mediation hearing which lays out the typical situation - abusive husband (Denis Ménochet) who has an upper hand financially gets the joint custody of their 11 year old son (Thomas Gioria) on weekends, even though the kid wrote a statement that dad has been abusive and threatening to his mother (Léa Drucker). Because there is a little evidence of physical abuse. It's really painful to watch as physically imposing, threatening dad manipulating the kid to get at mom and into their lives again against their wishes. Custody slowly builds up to an explosive conclusion and it's unbearably tense. It says a lot about the inadequate system in terms of domestic abuse and how things are stacked up against women to prove that abuse can take many different forms. Paula (Laetitia Dosch) just got dumped by her professor boyfriend of 10 years. She makes a scene outside his flat by screaming and banging her head against the door and ends up in a hospital getting stitches on her forehead. With a fluffy cat in tow, homeless, aimless Paula drifts from one place to another, trying to score a place to spend a night while cursing out Paris, the most unfriendly city in the world. While on the metro, Paula meets exotic Yuki (Léonie Simaga) who mistakes her for her elementary school classmate (it's her Heterochromia iridium - one brown and one green). Yuki invites her to stay at her flat and even gives her a lead for a job - babysitting for a wealthy woman in exchange for a maid's room in the attic. Paula also gets a job at a lingerie shop in a department store after many failed interviews. Naturally chatty, she makes friends everywhere she goes. At first, Dosch's Paula strikes as a typical 'crazy girlfriend' but after a while, we ease into her quirks and get charmed by her personality. Dosch makes her character endlessly endearing and relatable. First time writer/director Serraille does a great job painting a complicated young woman trying to navigate the world. 'Nothing is that black and white', one of the characters says to her. This resonates throughout the whole film. Montparnasse Bienvenüe is not really about post-college syndrome (think of Francise Ha! )- Paula is 31 but always lies that she is 29 as if that makes a huge difference. But as the film's original title (Jeune Femme - young woman), suggests, it paints a general picture of a modern woman who charges through life with 'fake it till you make it' spirit. Constantly hilarious and immensely watchable, Montparnasse Bienvenüe is a comedy gem.